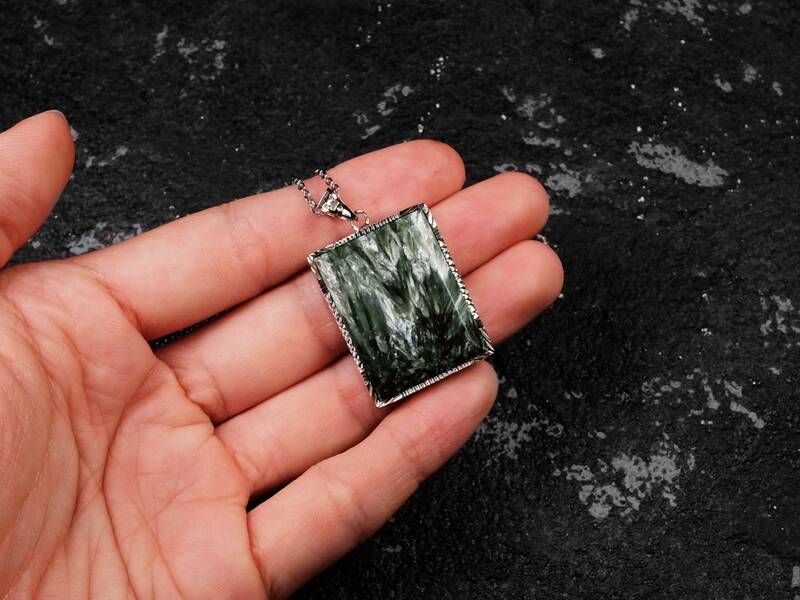 Beautiful seraphinite with intricate pattern throughout the stone. 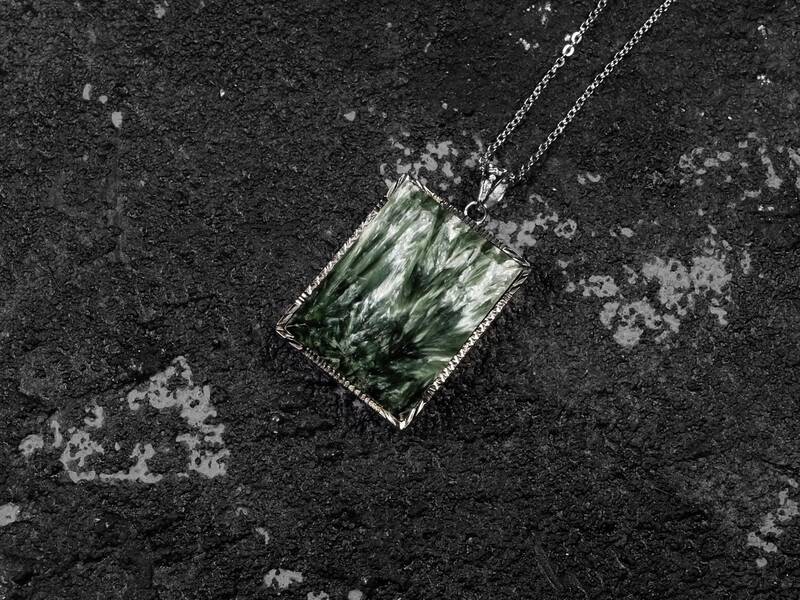 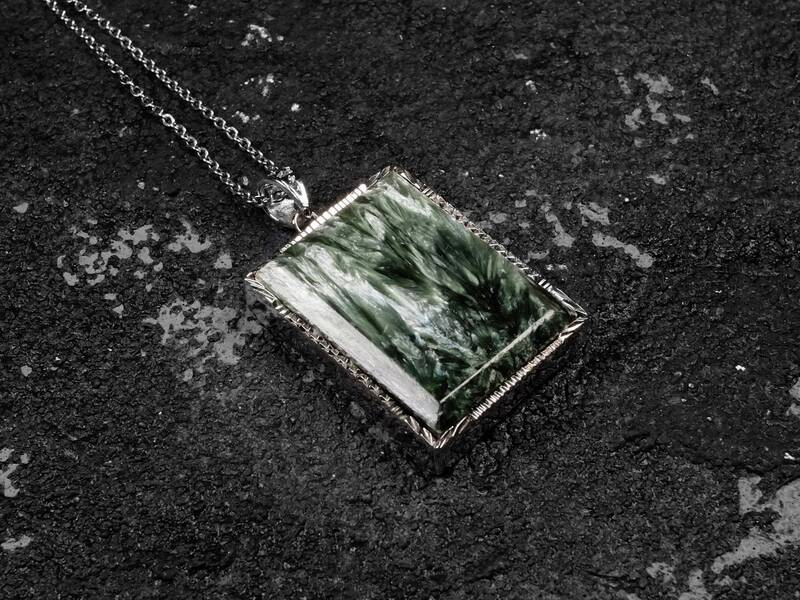 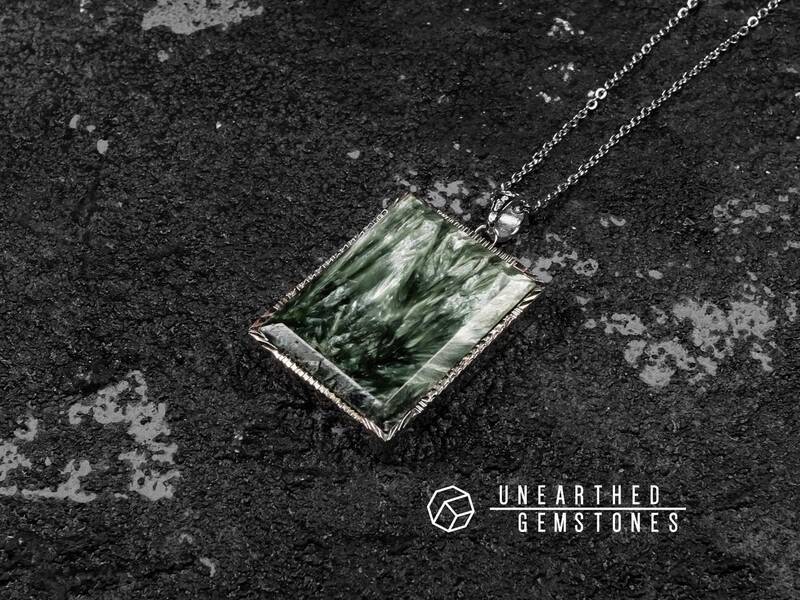 The feather-like pattern makes seraphinite special, and it is showcased on this pendant perfectly. 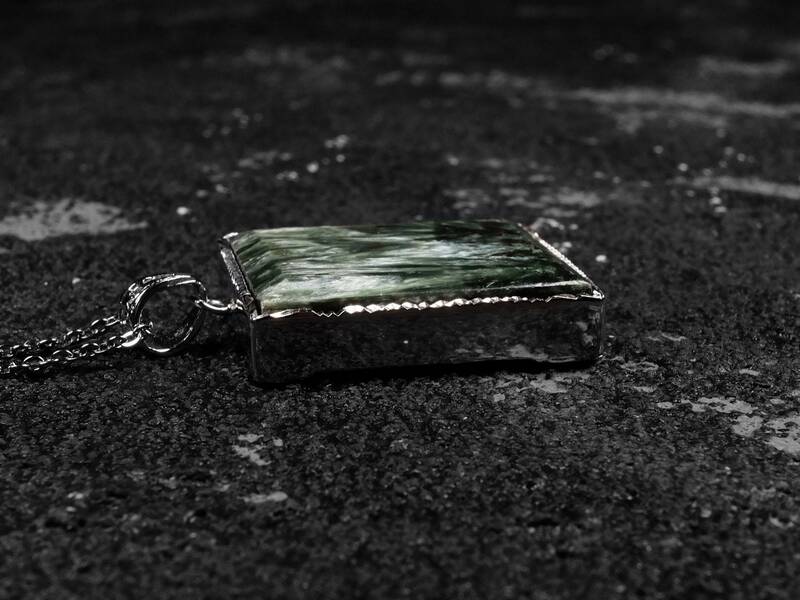 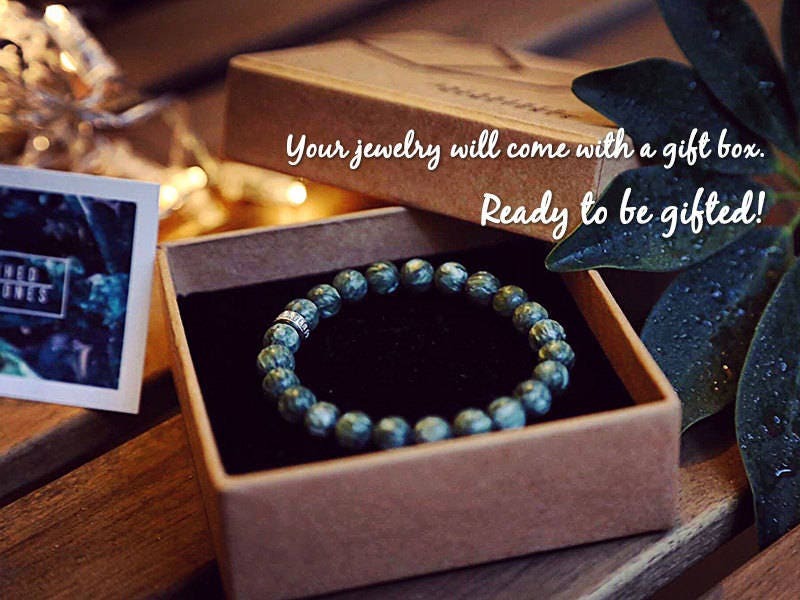 Set in a sterling silver setting, this piece will be a great addition to your jewelry box. 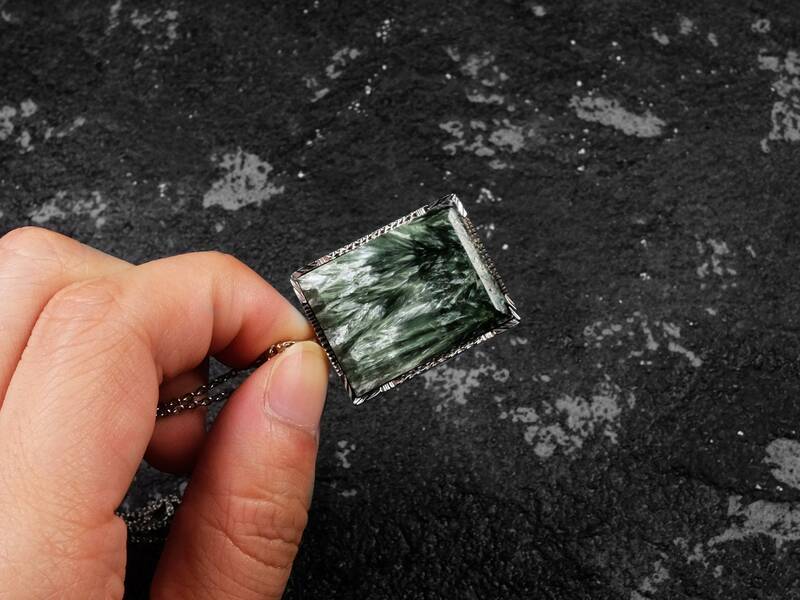 Seraphinite is a variety of the mineral clinochlore. 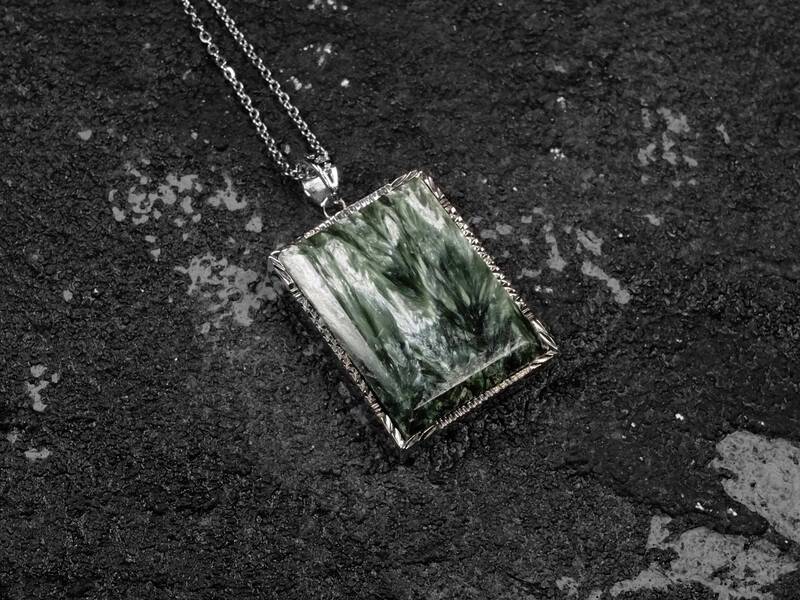 The name comes from Seraphim, the highest order of angels, because of the silver feather-like fibers that seraphinite has. 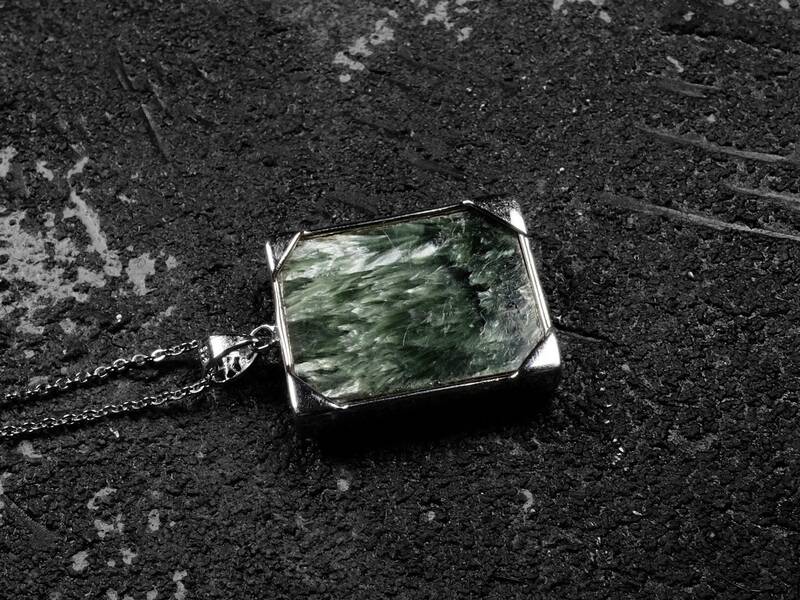 The stone is usually green in color. 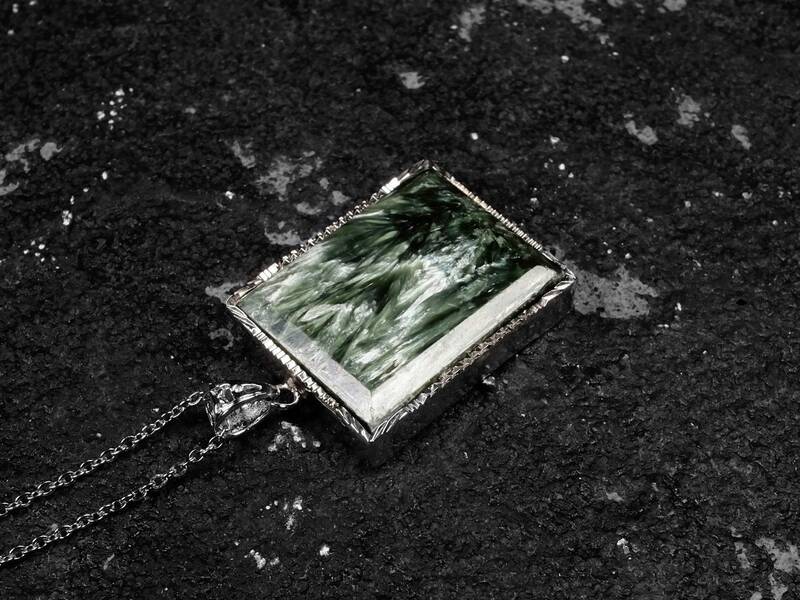 The stone resembles silver paint strokes on a green canvas.